Yes, a successful applicant for disability benefits may receive payments for time before the date the benefits are awarded. “Back payments” refers to payments for the period between the initial application and the award, and “retroactive payments” refers to payments for the period between when the applicant became disabled and the initial application. In the case of Supplemental Security Income (SSI), an applicant may only receive back payments from the date of the application onward. Retroactive payments are not available for SSI. In the case of Social Security Disability Insurance (SSDI), an applicant may receive back payments from the date of the application onward, and may also be able to receive retroactive payments from the onset date of the disability onward. However, either amount may be affected by the five-month waiting period that applies to SSDI claims. If Social Security accepts an applicant’s alleged onset date and it becomes the established onset date, then back payments and/or retroactive payments will apply beginning five months after the onset date. In addition to this limitation, retroactive benefits will generally not be awarded for more than 12 months before the application date. In the case of someone receiving SSDI only, the back payments and any retroactive payments may be paid in a lump sum. 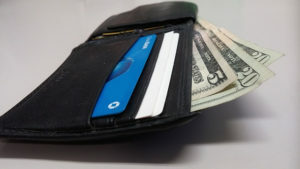 In the case of someone receiving SSI, or both SSDI and SSI, the back payments may be paid in installments six months apart. Please Note: Some questions from readers have also been answered, but we have closed comments for now as our time to answer questions is limited.Any answers are for informational purposes only; they do not constitute legal advice and do not establish an attorney-client relationship. 141 Comments on Can I receive back payments or retroactive benefits? I have applied for SSI benefits…are they required to pay me from the time of my application, or is it optional? 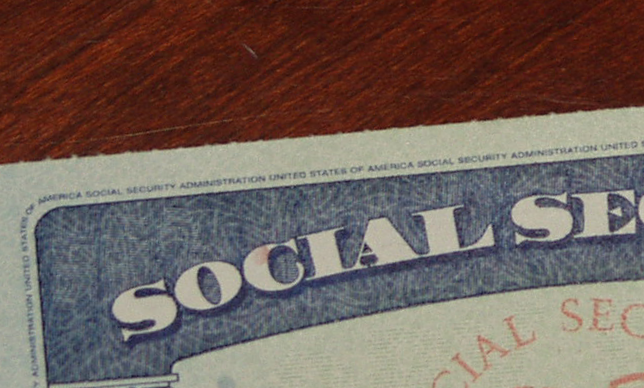 Social Security will pay SSI disability benefits from the disability “onset date,” which is the date that Social Security determines a person became disabled. If the onset date is found to be on or before the application date, the person will be paid from the application date onward. The default situation would be for your back pay or retroactive pay to be applied to your overpayment. If you feel the overpayment decision was a mistake, you can appeal it. If you can’t afford to pay the overpayment and the overpayment wasn’t your fault, then you can request a waiver stating that you should not have to pay it back or you can only afford to pay it back by having a small percentage taken out of your check each month. 5 months AFTER the determined onset date is when benefits start. For Social Security disability insurance (SSDI) benefits, you are correct: there is a five-month waiting period. However, there is no waiting period for Supplemental Security Income (SSI). While waiting for decision my lawyer started a 2nd (new) ssdi. Just received ALJ court date for Jan 2018. Also received news the fdc remanded my 1st ssdi due to errors the ALJ overlooked @ my 1st hearing. Lawyer states they may combined them together or do separate cases. I have 11 yr daughter now but 8 yrs on 1st application. So confused how and when payment will be calculated for back pay/retro/ dependent child etc if I am awarded 2 cases together or separated. Hope you have advise. I would say that it very much depends on whether the cases are combined and what your established onset date (EOD) turns out to be. Since you have a lawyer representing you, I think your lawyer should answer these questions. I called the local SSA office and was told my back pay was pending and the claimant request twice for the money to be released and still nothing in my account? Unfortunately, local Social Security offices are often slow about processing payment once a claim is approved. They should process your payment within 60 days. Keep calling them. Wait times vary in different parts of the country, but a wait of more than one year is not unusual. You can look up your hearing office on disabilityjudges.com to see the average processing time. The typical wait time is 1-2 months for the judge to issue a written decision. Depends on the judge. Hi i received a letter stating my son will recieve 25000 from ssi retropaymant however they refuse to give the back money to us and their saying he needs proof of what he needs it for? Is that legal the letter i hot said it was for 3 years back money they old him i dont understand? Once someone is found disabled under Social Security’s rules, SSI recipients also have to show that they are within the income and resource limits, whether they are an adult or a child. Also, if a back payment is a large amount, it may be paid in up to 3 installments. More information about SSI is available here. If an SSI back payment is a large amount, it may be paid in up to 3 installments, 6 months apart. i applied back in oct 2011, in az. i was denied by the judge and appealed her desision in 2014 after moving to ca. they denied my appeal but said if reaplied they would back pay me to 2014. so i droped my case and reaplied, oh and that letter was sent to me in 02/2015. well, they denied me at first so i appealed it. then as of 4/2016 was approved but my onset date they determaned was 05/2015. but my medical records actculy show my medical problems worsend in 2011 resulting me leaving work due to my medical isues. what im asking is can i apply for retroactive pay going back to 2014?. i only droped my other case becouse of them saying if i did and reaplied, they would go back to 2014, and ofcourse i fell for it. is there anything i can do? Yes, it is possible to appeal the decision about your onset date. The decision letter should state that you have the right to appeal within 65 days of the date on the notice. For SSDI, it is possible to get retroactive benefits going back to 12 months before the application date, depending on the onset date. I took a break from working in 2000. I became disabled in 2001 and did not/could not return to work. I didn’t know I could apply for disability funds. At 62 I started collecting SS. I’m now 63 and still disabled. Can I still apply for retro or back pay and also receive benefits now at the age 65 rate? I appreciate your consideration. Yes, this is possible. You can apply for disability benefits and claim the earliest onset date you can to maximize your benefits. If you are found disabled then your benefits would increase. How much they increase depends on when the onset date of your disability is finally established to be. See this article for more information. I was told by social security my payments were incorrect. They gave me the additional payment last month ,for survival benefitsv. Will they pay all the under payment ? When there is an underpayment, Social Security should pay you the difference. You can call 1-800-772-1213 to find out when you will receive payment. 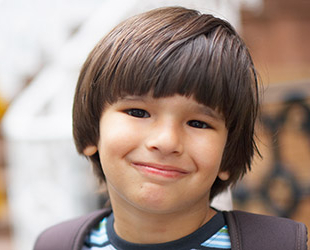 Yes, when applying for disabled adult child benefits, it is possible to receive retroactive benefits. If the wage-earner (parent) is disabled, then 12 months of retroactive payments are possible. If the wage-earner is deceased or retired, then 6 months of retroactive payments are possible. See 20 C.F.R. § 404.621(a). Hello, I started my case in may 2012, SSDI Only denied 2014, ac appeal/remand 2014-2016 new court issue date April 27, 2016, fully favorable day after court date but received notice of decision dated June 6,2016 received, notice of award dated July 31, 2016 received august 1, 2016 stating i will get first payment 8/17/16 and amounts of monthly and back pay as well as medicare info. Lawyer fee has been deducted and is being process, 8/6/16 received medicare card with new insurance card. when do u think i will receive back pay I am in Washington State. I also have a requested for assistance from my senators office because i have gotten told 3-6 weeks, 4-8 weeks, 3 months after first pay and the grand finale 6 months. i am very much in need of all my funds to take care of my 2 young kids. When do you think i will receive my back pay and will my first payment come on actual pay day which is 3rd wed of month? Your lawyer should answer these questions for you. Regarding your monthly payments, your award letter should state the month your benefits will begin. Payment is made on the 2nd, 3rd or 4th Wednesday of the month depending on your birthdate. See this schedule (pdf) for more information. It sounds like you know your payday is the 3rd Wednesday, so yes, that is when payment will be made. As for your back pay, I’m afraid that varies. There may be complicating factors, such as other benefits that a person may have received. Your lawyer should be able to help, especially since your lawyer’s fee is tied to your back pay. I applied for SSD on 1/14.Although my onset of my ailment started 4/13.I was told by my lawyer my claim is now on the fast track and I should have a hearing as soon as this fall It will either just go to a special board and they can approve it without going in front of a judge.Is this correct? If you are represented by an attorney, you should rely on your attorney for information about your case. However, in general terms, yes, it is possible to apply for an On the Record Request, which is a way for strong cases to get approved without having to wait for a hearing. The decision still comes from the judge though. my husband was fully awarded and determined disabled on September, 2015. He has a protective filing date of February ,2014. We filed our disability on September 2013 but like what I said he was declared disabled on September 2015, however he got approved on July 22, 2015. Is my husband entitled for any retroactive payment aside from back pay? Generally speaking, you’re entitled to SSDI benefits from your established onset date forward (but no more than 12 months of benefits from before your application date). I had a hearing with ALJ on June 6,2016 after a Federal judge remanded my claim back to the ODAR in Indianapolis. I was awarded a bench decision at that time. On June 17,2016 I received my Fully Favorable letter from the judge. Towards the end of June I spoke to my local SSA office and I was told that the payment processing center began working on my claim on June 14th. – Okay, Fast forward to August 12,2016…. I spoke to the local SSA office again and they said that my claim is now in pending status at the payment processing center in Maryland. What does that mean exactly?? I have officially reached the sixty day mark TODAY. I’m trying to be patient. However, I have an onset date of 2/12/2010 so my patience is running very thin. I have filed appeal after appeal for over six years now. *My claim is SSDI only with no workers compensation, no SSI offsets, no unemployment , etc. * Also, will my lawyer receive 25% of my back pay or $6,000 total? Hang in there, you’re almost there. Unfortunately, while Social Security is supposed to process your payment in 60 days, they do not always meet that deadline. You can call Social Security at 1-800-772-1213 and tell them it has been more than 60 days. Ask the representative to send a message through their internal system to the payment processing center asking why you have not been paid. The maximum fee that an attorney can receive as a direct payment from Social Security is 25 percent of your back pay, up to a maximum of $6,000. So if 25 percent of your back pay is more than $6,000, the attorney still gets $6,000 only. Thank you for the quick response! Can you please clarify what “pending status” actually means? I was told a few weeks ago that my claim was “being reviewed.” I believe the SSA office also used the term “being processed” at one time as well. I wasn’t sure if “pending” was a final step before my back pay is actually released…. * I’m happy to hear that $6,000 is the max that my lawyer will receive! Don’t get me wrong, he did a fantastic job and deserves every penny. Honestly, I think they use those different terms interchangeably, so they don’t mean much more than “we’re still working on it.” Sorry I don’t have more information for you. I finally spoke to someone directly at the payment processing center in MD. I found out that my claim was received on June 23rd and the sixty days is this Monday. She said that they don’t like to go beyond sixty days. My question to you is…. Do they ever go beyond sixty days? I don’t know why I didn’t ask her that. I think I was in shock that I finally got an answer. I’ve called several times a day for weeks. As she said, they “don’t like to” go beyond 60 days, but it can happen. You have been approved, so you are entitled to your benefits. Just stay in touch with them and make sure the processing continues. I received a check for $54,000, to cover errors made by SS for my adult stepdaughter’s SS disability pay. They went back 20 years, but they should have paid back to 1977, when her father retired, He then died in 1999 and that’s the year they paid back to. I say they owe us another 20 years back to 1977. They were figuring it from her mother’s income which was far less than her father’s. I’m filing an appeal. What should I believe? It’s hard to say without knowing all the details of the case, but if you feel they are in the wrong, then you should pursue your appeal. Generally speaking, a disabled adult child may be entitled to benefits if the parent is receiving retirement or disability benefits, not only if the parent is deceased. Hi there! At the end of your article, you mentioned that “retroactive benefits will generally not be awarded for more than 12 months before the application date.” Are there any situations in which one can receive more than 12 months worth of retroactive benefits? And if so, what would someone need to do in order for this to happen? It could happen in special circumstances, for example if a previous case was denied and not appealed, therefore becoming a final decision, but then a judge at a later date found good cause to reopen the earlier case. My mother is 72 y/o now and I’m not aware that she didn’t apply for social security retirement because somebody told her that if she delay applying for SS retirement then she will get more in the end. She just told me last week to help her apply for SS retirement because her savings is almost gone. My question is, can she she still get back pay of the 2 years that she lost from SS retirement? Because from what I know is that she should have applied when she was 70 y/o which is the maximum age for retirement. So it’s like she lost 2 years of her retirement. Well, the good news is that by waiting until age 70, she will receive 132% of her benefit. However, yes, she should have applied at age 70. Waiting beyond that only causes you to miss out on those months of benefits, as it is not possible to get more than 6 months of retroactive benefits. Still waiting to be approved? Generally speaking, one cannot receive Social Security benefits for more than one year before the application date. Back pay is usually processed soon after your first monthly payment. Contact your local Social Security office for a progress report on your case. Yes, it is my understanding that when Hillsborough County Health Care services are provided to a patient, pending their approval for SSI and Medicaid, then Hillsborough County will be reimbursed out of their back pay. Sorry I don’t have any more details than that for you. Received notice of fully favorable decision after a federal court remand was ordered. The payment center worked on the case for almost 90 days and got me in pay only the underpayment is just sitting around on the record. The local field office paid my daughter out all her retro and here I sit waiting and waiting. How long is too long? I understand that it is frustrating. Social Security is administratively underfunded, and delays are common. I think your best strategy is to keep in touch with the office and the representative working on your case and keep asking them for updates. In 2015 first five months received unemployment . In the middle of July 2015 started working last day of work was Jan 1 2016 for 2015 earned $7440 . I applied for ssi/ ssd may 24 2016 . I understand back pay for ssi, ssd and five month waiting . Will I receive retroactive pay? had my hearing last week dire need claim. It depends on when your established onset date is. If found disabled and eligible for both SSDI and SSI, then SSDI would begin five months after the established onset date and SSI would begin on the application date (assuming the established onset date is before or on the application date). Hi, I am 58 yrs old and on SSDI, and SSI. I receive roughly just over $700. a month. Since getting disabled many years ago, I have had several heart attacks, Copd stage 6 and Gerd. Is it possible to get increase in monthly amount for Copd and Heart attacks? I am on Medicare/Medicaid. When I first started getting SSDI I received $900, then got a letter stating it was a mistake, and now I’m down to just over $700. Unfortunately, additional medical conditions do not increase the amount of your disability benefit. My husband passed December 28th 2016 of stage 4 renal cell carcinoma cancer . He applied for social security disability benefits in June & was deemed disabled May 06 2016 by social security administration. My question to you is did he qualify for retroactive benefits & if so how do I receive them? His condition also falls under the compassionate allowance benefits if im not mistaken right? I am sorry for your loss. Generally speaking, someone who is found disabled will receive benefits from the Established Onset Date (EOD) forward. The EOD is the date that Social Security determines the person became disabled. For Social Security Disability Insurance (SSDI) benefits, if you became disabled before you applied, you can receive retroactive benefits for up to one year before the application date. It sounds like you are saying that your husband was found disabled 7 months before he passed away, so he should have received his retroactive benefits at that time. With the condition you describe, he would have qualified for a compassionate allowance, which means that the decision to grant benefits is made quicker than usual. Upon death, the individual’s disability benefits stop, but you may be eligible for surviving spouse benefits if you are age 60 or older, or if you are age 50 and older and disabled. If that is the case, I suggest contacting Social Security at 1-800-772-1213 to apply. There is also a special lump-sum death benefit of $255. Hi my question is the 12 month back pay rule I read on a different website that an individual will only receive 12 months back pay rather than the full amount from the application date…. I have waited 3 years but will only receive 12 months worth back pay rather than the 3 years from my actual application date is this true? Generally speaking, for SSDI, you cannot receive more than 12 months of retroactive benefits, meaning benefits for months before the application date. But in addition to retroactive benefits, you may also receive much more than that in back pay, which I define as benefits for months between the application date and the date of your award. There is no limit to how much you can receive in back pay, because cases can take many months or even years to be resolved. I have a question. I originally filed back in 1999 for my heart. I was denied. I have applied many times since then but get denied. I am now in heart failure 18 years later. Do you think I can get back pay? You would have to start a new application, and you would not be able to receive payments for earlier than 12 months before the new application date for Social Security disability insurance (SSDI), or for earlier than the new application date for Supplemental Security Income (SSI). I have since reapplied on 8/14/17 for SSDI and SSI on 8/17/17. I am hoping SSA will at least look at claim filed in 2005 for SVT super ventricular tachycardia. In September 2017 my cardiologist has documented in my medical records that I am unable to return to work due to my congenital heart defect. The only chance of getting retroactive pay going that far back would be if the earlier case was reopened. That’s hard to do and you would probably need an attorney. My condition is deteriorating. I have right side failure. Now The left side is beginning to enlarge. I am going to have the surgery as soon as I hear from the Surgeon. I hope SSD take a good look at my claim. My disease began in 1990. I worked for nine years…and used sumatriptan to treat them and maintain employment. In 1999 i had a baby and could not use the medication while breast feeding…and for the next 9 years I was either nursing or pregnant…..I had two heart attacks in 2008 from using sumatriptan and this lost the most effective migraine treatments. It’s 2017….I’ve been disabled and with no! Viable solution since 1999. Can I apply now for benefits for a disease that left me unable to work in1999? Will I receive retroactive pay? You cannot receive more than one year’s worth of retroactive payments (from before the application date) in any case. However, it is possible to claim a disability onset date before that, and in a case like this that may be necessary, because if you have not worked enough in recent years then your “date last insured” (DLI) would be in the past, and to be eligible for Social Security Disability Insurance (SSDI) you would have to prove you were disabled before the DLI. This may be possible, but it is more difficult to prove a disability that far in the past. Another alternative is Supplemental Security Income (SSI). If you meet the income and resource limits, then if you were found to be disabled now, you could receive SSI benefits, and your DLI would not matter. I applied in 2011 and was denied I put AOD as jan 2010. I reapplied in 2014 and was just approved at the hearing level and judge agreed EOD as of jan 2010. What should I expect my retro pay begin date to be? Generally speaking, for Social Security disability insurance (SSDI) benefits, retroactive pay is available for 12 months before the application date, at the most. In your case, assuming the 2011 decision was final and then you started a new application in 2014, then you may be able to receive retroactive pay for 12 months before the 2014 application date (as well as your back pay between 2014 and now). SSI benefits can be paid back to the date of the application, if it is determined that the person was disabled as of the application date. I became unable to work in January of 2015 and filed for disability. I had trouble finding an AMA doctor that could find my diagnosis of lymes disease which I had became very sick with and unable to work. However I had a naturpathic doctor test me and I was positive. This was 3- 12- 2015 but SSA wouldn’t accept this positive test. They told me I didn’t have enough proof then today may 1st 2017 I opened a letter saying that they found my condition to be severe and that I am disabled but didn’t know when I would get any money and that I would not be getting any back pay or retroactive pay because they had determined that I was disabled starting last week. Can I fight for the backpack if I get even more evidence? I did not choose a SSA attorney. In 1993 I was on ssi for the same condition but the attorney offered me no help at all so this time I opted out and the Human ARC is supposedly helping me. Hello.I was approved for ssi in march 2017 ,still waiting for payments .My onset date start from July 2014 .If I return to work and try to work as a full time ,will SSA cancel my retro benefits and ssi payments? I recommend contacting Social Security to find out the status of your benefits. If you have been approved, SSI payments should be processed quickly. If you can, I would wait on trying to go back to work until after you receive your back pay and at least one month of benefits. Once your benefits are established, you can work, but your SSI benefit amount would be reduced because of the extra income, and if your countable income is more than the SSI benefit amount, you would no longer receive benefits. The SSI program does have work incentives that can permit you to earn money while on SSI and still get benefits, under certain circumstances. I originally got approved for SSI in May 2015 after applying in May 2015 and SSA found me to be disabled June 2015. Then back in October 2016 I applied for SSDI now fast forward to December 2017 just received notice I was approved for the SSDI also. Will I get back pay and retro pay from June 2015 the date I was approved for SSI or will it go off the application date of October 2016 when I filed for SSDI? I’m not sure I understand what happened in your case, because usually when you apply for SSI they would do an SSDI application as well. Normally you can only get retroactive benefits for up to one year before the application date for SSDI, but in your case depending on what happened you may be able to argue that Social Security is at fault for not taking your SSDI application when you applied for SSI. Do you qualify for retroactive payments if you worked after EOD? Generally, if there is an established onset date (EOD), then retroactive payments would apply. Working above the substantial gainful activity (SGA) level ($1,170 per month in 2017) may cause Social Security to establish the onset date as after that period of work, unless the work can be characterized as an unsuccessful work attempt. If the EOD is already set, then a period of work may count as a trial work period, enabling the person to continue receiving benefits for a limited time. I too am somewhat confused. I appeared before ALJ for hearing. My filing date was July 2015. My AOD was July 2013. I was awarded a fully favorable decision and at the end of the legal paperwork he wrote my disability effective as of July 2013. What effect if any does that have on any retroactive/back pay? Thank you so much for any response​. The fact that the judge agreed with your alleged onset date (AOD), making it your established onset date (EOD), means that you can receive the maximum retroactive and/or back payments. In the case of Social Security disability insurance (SSDI) benefits, the maximum you can receive in retroactive payments is for up to one year before your application date. In the case of Supplemental Security Income (SSI) benefits, back payments are payable only from the application date forward. If you started over with a new application, then the previous decision is final as to whether you were disabled then. So you can only get retroactive or back pay based on the onset date attached to this new application. hi, I was on ssi for 14 years, I went into a facility for over a year so when I got out I was told I had to reapply, I did. I was denied and than denied with the judge after waiting over 2 years. I was told by someone I could appeal it and wait another 14 to 24 months or try my chances at reapplying. I don’t have any income at all so I reapplied 2 weeks after I was denied by judge. now I’m approved for the same exact medical reason that I was denied for. is there any possible way I can get retro pay for the years I was waiting. thank you. Unfortunately, by starting a new application, you are accepting that the denial of the first claim is a final decision. That is the choice you were faced with: appeal the judge’s decision to the Appeals Council and wait over a year but get the retroactive pay if you win, or start over with a new application and give up the retroactive pay, but maybe have a better chance of winning. Just because you gave up the retroactive pay does not mean you made the wrong choice. Having the approved disability going forward is a big victory. Sometimes it is hard to win at the Appeals Council, because you have to show that the judge made an error, and the first judge may very well have denied you within their proper discretion. Sometimes on a new application, you enter a new age category, or your condition got worse, combined with a more sympathetic decision maker. I applied for Social Security in September 2015, I was denied twice. Look for a lawyer and in April 2017 they approved it and the judge said that for her I became disabled June 2016. when I got the retroactive they only paid me since December 2016 and they hold the money of five months. I have relatives who have passed and no one has endured anything paid from the day that they made it retroactive. 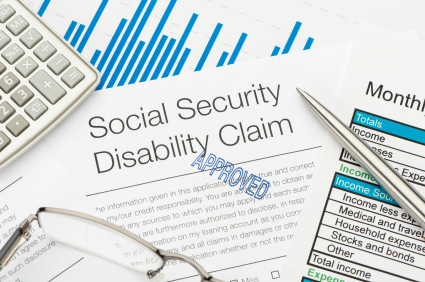 There is a five-month waiting period for Social Security disability insurance (SSDI) benefits, which means that you are not paid for the first five months that you are disabled. My sons dad passed away march 2016. He applied for SSD 2 years before he passed. It was pending when he passed. Nov 2916 it was approved in court. He had 3 children. 23,20 and 8 the older 2 are from his first marriage which they were divorced 10 years ago. The 8 year old is my child. We were not married at time of death. The underpayment is due to come in on this case for the Dads retro. Does it get split 3 ways or just the youngest. Numerous times SS has told me just my son gets it because he’s underage and then numerous others at SS told me split 3 ways. I’m not talking about my 8 year olds retro. Just the parent that passed. I can not get a straight answer from SS. Seems no one really knows. Although I googled and it says it would go to the child that would have been under the SSD claim. Can you help?? First off, this is not what you asked, but you should know that your son should be able to receive survivor’s benefits regardless of his father’s disability. As for your question, I am linking here to the statutory order for payment for Title II (SSDI) benefits when the underpaid person is deceased. As you can see, the first people who are entitled are the family members who were eligible to receive benefits themselves based on the deceased person’s benefits. That may include your son, since he may have been eligible for his own benefits as a minor child of an SSDI beneficiary. In the statutory order, it looks like your son would fall under (b) and the adult sons would fall under (e), so your son would come first and the money would go to him. So make sure you apply for your son’s own benefits and also claim that he should get the underpayment. If Social Security decides otherwise, you will be notified and have the right to appeal, so you could appeal and refer to the regulation I linked to. Hi, I went to the er on may 2016 and doctor declared me disabled and had the hospital coordinator fill out disability application for long term and attach with the form doctors letter stating my sickness . They denied it 3 times last year even tho I was in and out of the ER . Well reapplied may 2017 and got approved July 2017 onset date May 2017. I went to ss and told them it was an error on the year honest mistake but she said they declared me disabled may 2017 and there nothing I can do. I have all hospitals documents . What can I do? You can appeal the decision. Your award letter has instructions about how to appeal. You can also contact a Social Security disability attorney in your area by calling NOSSCR at 1-800-431-2804. In terms of “Social Security going back 12 months,” that is the maximum. It is possible to get SSDI benefits for up to 12 months before the application date, but only if the onset date of the disability is early enough. If December 1, 2014 is your established onset date, then you cannot receive benefits for any period before that. The Social Security disability insurance (SSDI) program also has a 5-month waiting period, so your SSDI benefits would not go back further than May 2015. The SSI program has no waiting period, but for SSI you cannot get any benefits before the application date, so those benefits would also not go back further than May 2015. Hello, I applied for my daughter back in 2010 and was denied and went all the way with appeals. Then this year 2017 reapplied 2 months into her case and after her chromesome testing came that her case was closed. No one is telling me anything and they said the decision is at the local office, I called and no is speaking. Haven’t received a letter yet been a week. If she is approved, will the retroactive date go back to when I applied the first time? They should see her info and everything from the computer at that time correct? Sometimes a case is “closed” because a favorable medical decision has been made, but for whatever reason they are not ready to send the award letter out. Keep calling them and see if you can get them to say whether a medical decision has been made. If so, then there is some holdup with the payment processing. If more than 60 days passes after a favorable medical decision has been made, then that is a deadline they pay attention to, so you could alert them to the fact of that deadline and ask for additional action. Good luck. For SSI, benefits are not payable for any time period before the application date. So SSI benefits would be paid from either the application date or the established onset date, whichever is later. I applied for disability in 1996 for my heart. I was denied. I applied 4 times afterwards and was denied each time. I am now in class 3 heart failure. Is there a chance SSA will retro pay back that far? Generally speaking, if you do not appeal a denial, then the denial is final, and SSA considers you not disabled as of the denial date. You can file a new application, but you generally won’t receive retroactive pay for more than 12 months before the application date. The only exception to this would be reopening a previous case, which for a case that far back would be a long shot and could only be done if there was a clear error in denying you at that time. You may wish to consult with an attorney, both to make sure you get approved this time and to ask the attorney about the possibility of reopening the previous case. My husband applied for ssdi on May 2017 by June 2017 he was approved, he doesn’t get his award until Nov.2017 is he entiltled to retro pay? It depends on his established onset date (EOD), which is the date that Social Security says he became disabled. For SSDI, there is a five-month waiting period for benefits, so he would be eligible for benefits in the sixth full month after his established onset date. I’m now 40. In my father’s divorce paperwork (he passed away & my stepmother never read any of it!) was some documentation that my birth mother was receiving SSDI and a child benefit was payable and in a holding status until my father sent in a form to Social Security to be the payee as he had custody. Is it even worth calling social security to find out about this? I cannot think of a way those benefits would be payable now, sorry. I’m disable and been receiving ssi since I was 19 I applied for surviving child benefits from my deceased father last October and my case is still pending. Are i’m entitle to backpay? It sounds like you are talking about disabled adult child benefits. Yes, if you are approved, you should get back pay to the date of entitlement, which can be up to 12 months before the application date but cannot be before your father passed away, unless he was receiving retirement or disability benefits himself. hello sir,my husband start recieving disability year 2006 he was 53 years old that time.2008 our son was born and now our son was 9 years old.My husband was a bedredden and still recieving benefits.This year month of may we apply our son as his dependent.My son got alraedy his crba.My question is that is there a chance that my son can avail the retroactive pay since birth?as a mother can i avail also a benefits?im not a u.s citizen and im 31 years old. It is only possible to get retroactive benefits for up to 12 months before the application date, so no, your son could not get retroactive payments back to his birth, only at most for 12 months before you applied for benefits for him. You may also be entitled to spousal benefits, if you are lawfully present in the U.S. I received a letter from SSI saying they increased my monthly benefit to a higher amount because the prior amount was incorrect. I’ve been receiving the wrong amount for about 3 years. Will I be paid retroactively for the difference? Yes, that should be processed as an underpayment, but you may have to request for them to take action. The earliest date you can get Social Security disability insurance (SSDI) benefits for is 12 months before the application date, and the earliest you can get Supplemental Security Income (SSI) for is the application date. It sounds like you’re saying that your SSDI amount is high enough that you won’t qualify for SSI, so only SSDI would apply. There is also a six-month waiting period for SSDI, so you can start getting benefits no earlier than the sixth full month after your established onset date (EOD). So if your EOD is more than 17 months before your application date, you would get benefits starting 12 months before your application date, which is the maximum possible. Call Social Security at 1-800-772-1213 and tell them you believe you have an underpayment. Benefits based on your spouse’s record are only available when you reach age 62. Benefits based on your own disability are usually based on your own record. 1. I worked full time from 1989-2002. 2. I became disabled in 2007. 3. I attempted to resume a PT career in 2009, worked for six months before the pain became too great. 4. I finally filed for Disability in September 2016. I receive $1500.00 each month and a check for 12 months backpay. Q: Why will they only pay for one year of back pay- if they agree I’ve been disabled since 2007? Can I contest it and request a hearing? Sorry I don’t have a good reason for you other than it’s the law: for SSDI you can only get retroactive pay for up to 12 months before the application date, even if the onset date is earlier. Although i was approved for ssu and ssd i believe i am owed back pay or retroactive pay. I became disabled in 2015, attempted to return to work however i could not bare it with my condition, i took a medical leave and received Temporary disability benefits,. I believe i also applied for ss in 2015 but was denied 2016 i was approved. Shouldn’t i get some type of back pay? And also my mithers disabled she’s been for years facing some of the same conditions as well. Shouldn’t they have given me my ss for that reason as well? For Supplemental Security Income (SSI), back pay in only available from the application date forward. For Social Security disability insurance (SSDI), back and retroactive pay is only available for up to 12 months before the application date, and only if the onset date is 17 months or more before the application date. Your award letter stating that you were approved should explain how any back pay was calculated in your case. Take a look at the established onset date of your disability, as that may explain a lot. If your mother is disabled, then she should apply for disability benefits on her own record. But the only way her benefits would affect you is if you qualified for disabled adult child benefits, which is only available if your disability was present before you reached age 22. If you’re talking about filing an appeal of a denial, then yes, filing on the last day of the deadline is still OK. I would recommend following up with Social Security to be sure they received your appeal. I would appreciate your opinion regarding my protective filing date. I have had a hearing impaired since birth (1970). I applied for Social Security benefits on 4/15/1998 which is my protective filing date. I believe SSA sent the “letters” to me at an address where I had been living along side the girlfriend at the time and her two kids. In July 1998 she made up lies which led to my arrest and restraining order that kept me from returning to the home. I truly believe that she purposely set this up in order to obtain any personal information sent from SSA. My second attempt for SSA benefits was sometime during the summer of 2003. In July 2004, I received a back pay check and my regular monthly disability check. Since I feel that SSA clearly made an erroneous mistake and award me back pay accordingly from 4/15/1998. I hope by mentioning after a lengthy battle in November 1993 my father died of gastric cancer. I was 23 and in college at the time. Sometime between 2006-2007, I applied for his benefits as Adult Disabled Child” and submitted the application at a local field office. The SSA employee took the application and immediately denied it and told me “You’ve made too much money on your own work record, therefore you don’t qualify”. I immediately filed an appeal in Aug 2007, in Oct 2007 had a hearing before an ALJ that told me the same thing as the field office employee. I’ve read the SSA Poms repeatedly over and over. Am I wrong? Or seeing things or perhaps misinterpreted what clearly states that I have been entitled to my deceased father’s benefits since I’ve been disabled since birth in addition to being of adult age but was in college? Is this potentially another erroneous mistake SSA has made against me. I do apologize for it being long. I could really use some guidance in hopes that you’ll agree with me. For your second question, to get disabled adult child benefits, you have to prove you have a disability that began before age 22, and that is generally interpreted as a requirement that the disability be continuous, so if you have a period of steady work, that can be used to show that you were not disabled during that time, and thus any disability you have now is not one you have had since before age 22. This issue is addressed in pages 247-249 of this practice guide. Hello, my question is this. Im 25 years old and am a disabled adult based off of severe emotional isssues and am currently recieving ssdi on my deceased fathers record. I was awarded this last year after applying but i also applied 8 years ago for disablility and was denied for ssi. Social security is telling me that because i never appealed that decision it is closed and i will recieve no backpay from any previous applications… If i can prove i was disabled when i first applied can i recieve any form of backpay? You could only get back pay from that far back by having the case reopened, and for a case that old, it would only be possible in extreme circumstances, like if there was an “error on the face of the evidence.” That would be hard to prove and you would probably need a lawyer to help you. Thank you. It’s just that i ended up being homeless for years and also am now 30 thousand in debt for medical bills becuase i had no coverage of any kind either.. What exactly does an “error on the face of evidence” mean? Social Security defines “error on the face of the evidence as a situation where it is absolutely clear that an error was made. Examples include relying on the wrong person’s medical evidence, or failing to include relevant medical evidence in the record that would have resulted in a different conclusion. Hello, I was wondering about back pay and retro pay. I applied in 2015, was denied twice and had a hearing. I was awarded both ssi and SSdi. Will I receive any type of lump sum payment right away or will I be forced to wait every 6 months? My onset date was determined to be may of 2012 but there is also a question of another injury that was found on my MRI that dates back to 2007. Can the judge change the onset date to the earlier date? Usually, for SSDI you would receive the back pay all at once, but for SSI, they pay you up to $2,199 of your back pay right away, then another $2,199 6 months later, then all the rest 6 months after that. The judge will decide the onset date, but if your onset date was determined to be May 2012 and that was early enough for you to be insured for for SSDI purposes, then you don’t need an earlier onset date. It does not sound like it would result in more back pay anyway, because you can only get back pay for SSDI for up to 12 months before the application date, and for SSI you can only get back pay from the application date forward. I applied for (SSI and SSDI) in Mar of 2017 and was approved in 3 months. My SSDI will start 3rd week of Nov. I was found to be disabled in Nov of 2014. If I understand this right . I will receive retroactive benefits from Mar of 2016 until Mar 2017. Will there also be a differentance owed me for Apr 2017 till now in the amount of SSDI and SSI. I would like to add. After reading all the questions ask you. I know I’m blessed to have received my SSI and SSDI so fast. I see how many people have had to wait a long time..I’m very thankful to the ones at the SSA for helping me. I used the words owed the difference. I feel blessed to receive any thing they give to me..!!! I know that it must be hard for people at the ssa to do the job they must do..
I’m unsure of the amount I will receive.. It would be a blessing to have. An ideal of how much I will be getting.. I only know my 1st SSDI check will be the 3rd Wed of Nov.
I’m unsure of how long or how much my retroactive benefits will be or any difference from Mar of 2017 until now in SSI and SSDI. Please help me to understand.. Thank you.. I pray your day is blessed!!!! if i have proof of a mental ailment & notified SS but didn’t complete the application process for SS until years later after i got help with the process & was approved.II went to a state facility & was given medication by the state MHMRA when i first applied. I got herp with the application process the second time , completed the process for the same problem that I had when i didn’t finish the application ;process. i finally got approved for.. Am i entitled to get a retroactive check. I didn’t work between the first incomplete application to the second complete application but stayed on their medication. Again i didn’t complete the first application but completed the second application with some help. They have on record I was given help the first time i attempted to file. Also it would change my benefit from ssi to ssdi? If the original application was never completed, then it is very unlikely that you could get retroactive pay based on that date. The second attempt when the application was completed would count as your application date. Yes, if you are eventually found to have had a continuing disability, then you would get back pay for the time period when your benefits stopped. My question is: my husband passed October 21 2017. I went to the local office with the necessary paperwork. The earliest date for an appointment is December. Unfortunately I can’t make the appointment until April 2018. Will the soc sec department retroactivate my husbands benefit to me going back to November? I recommend completing the application as soon as possible. Survivor’s benefits can be paid retroactively for up to 6 months in certain situations. If you have a lawyer, you should ask your lawyer these questions, since they know the most about your case. In general, follow the instructions from Social Security as best you can, despite the fact that their instructions may sometimes be confusing or contradictory.